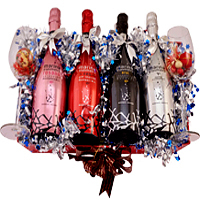 Product description: Order from miles away from home this Precious Just Sparkles Confectionery Gift Basket to make your loved ones feel your presence. 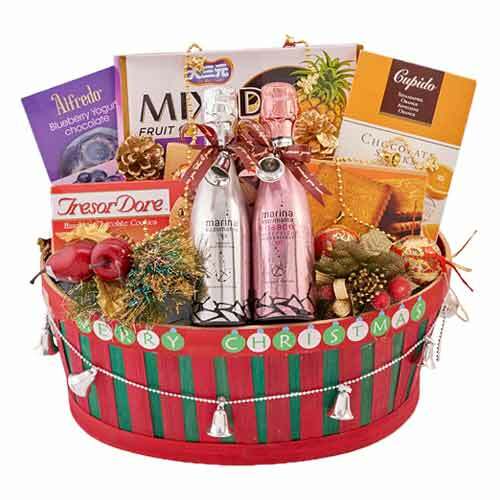 This traditional Hamper full of tempting goodies is packed with a selection of items like Marina Espumante-200 ml., Marina Espumante Rosado-200 ml., Tresor Dore Hazelnuts Chocolate Cookies-135 gram, Cupido Orange Chocolate Sticks-125 gram, St. Michel French Butter Biscuits-150 gram, Alfredo Blueberry Yogurt Chocolate-70 gram and Da San Yuan Mixed Fruit Candy 120 gram. 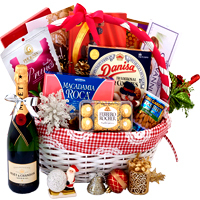 All these items are elegantly stuffed in a charming Festive Basket. 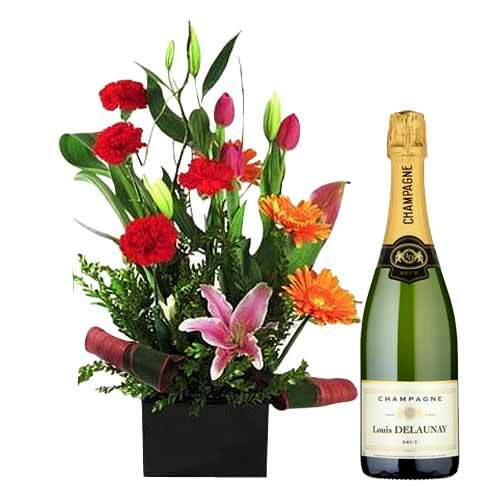 Show your intense love to your dear ones by sending them this Champagne with Exotic Flowers a great and magnificent way to show how much you think of them. 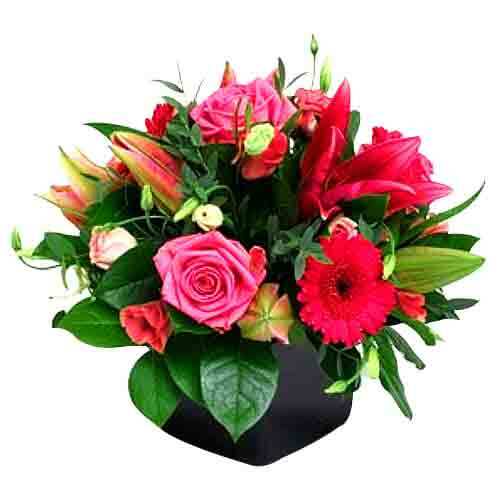 Send your love in the form of this Passionate Love with Mix Flowers Bouquet to your dear ones for whom you really care. 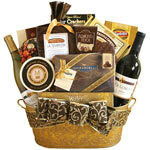 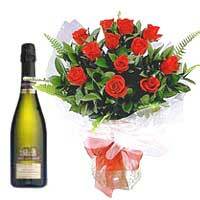 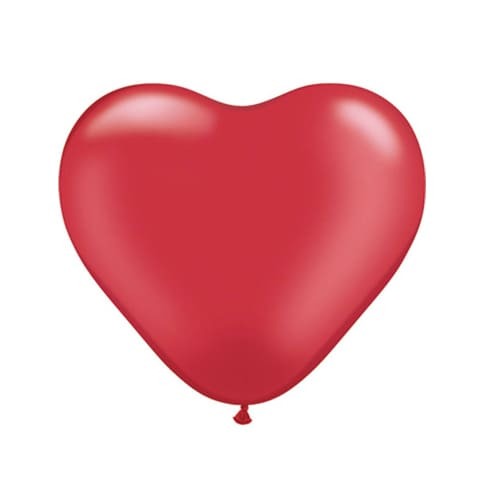 This gift of Bottle Love (Wine with Roses) will mesmerize the people whom you send this.